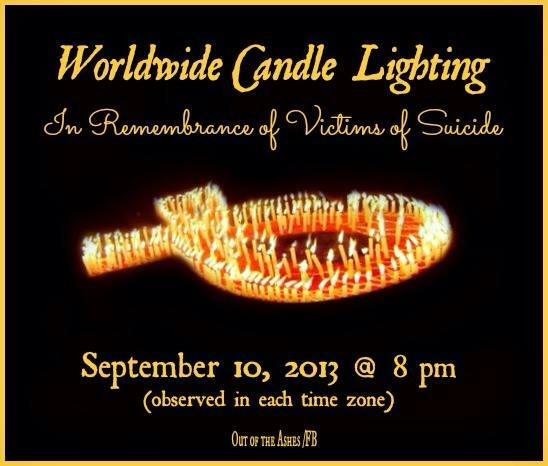 Today, all around the world, people will be lighting candles for the ones they have lost to the tragedy of suicide. I too will be lighting a candle, like I do often for the memory of my sweet daughter Brittany Rebecca, whom died by suicide on August 4, 2010. A day that I will never forget. A day that is etched in my brain and in my heart forever. A day that changed me and my way of looking at things and thinking about things. A day that made me change how I handle situations and people. I no longer allow the drama that was brought on by her father and step monster to enter my life. Brittany had 3 siblings, and that was all. She had 3 sisters….Ashley, Sheridan and Tristann. They were her only blood, along with her father and me. A woman can claim to be someone’s mother all they want. Just because her name is on a birth certificate does not make her that child’s mother. Carrying a child and giving birth to a child and nurturing and loving a child makes a woman a mother. I am, and will always be Brittany’s mother. No one else will ever be able to claim that. Brittany did what she did because of an evil woman that called herself Brittany’s mother. She had no other way of getting away from the torture and evil that was called MOM except to leave this world. I am not angry at my daughter, but at the woman that took my precious daughter from me. A woman that claimed to be a caring, loving mother. A mother that supposedly raised 2 boys that tormented my daughter. One of the boys who is a sexual deviant. One boy that they allow to get away with doing disgusting things to my daughter and did nothing about it. YOU should be ashamed to even call yourself a mother. Today, being World Suicide Prevention Day, I will light a candle for my sweet angel that watches over me everyday, and for all the other lost angels that were battling something so strong that they felt the need to no longer fight. Rest in peace to all the angels that watch over us everyday. All the angels that we lost too soon. I love you my little itty bitty. You are and will always be MY daughter. You are my angel….my sunshine, just like your SISTERS.